Cuba is an island 90 miles off the Florida coast. It was the first and last Spanish colony established in the region. The food culture is the direct result of several factors intermixing: the history of the different people who settled there, its island location, and its tropical climate. Learn how migrations and historical events influenced the island's food identity. As the first and last Spanish colony in the Caribbean, Cuban food has strong ties to Spain, although it had many other influences. Cuban cuisine is a blend of Native American Taino food, Spanish, African, and Caribbean cuisines. During the colonial era, ​Havana was an important trading port and Spanish immigrants passed through the city before moving on to other towns and islands. The Spanish brought cattle and pigs, which were incorporated into the foods. 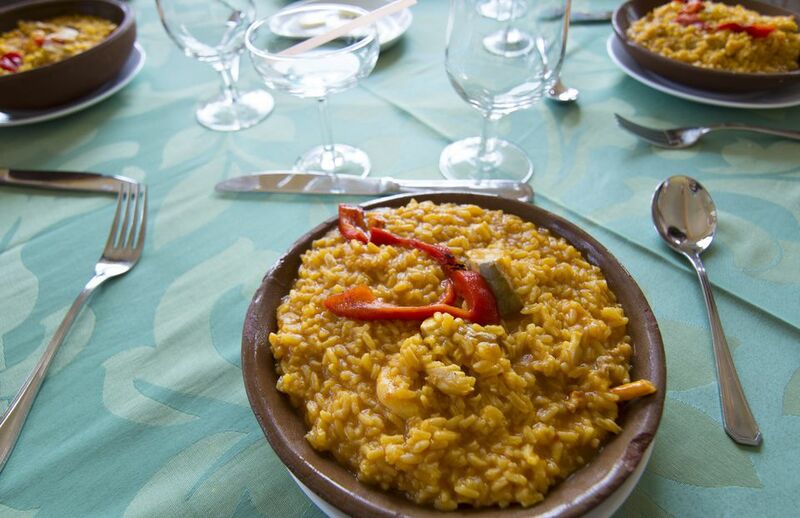 Many of the immigrants were from southern Spain; hence many Cuban dishes have their roots in Andalucia. A noteworthy Chinese influence on the food also cropped up in the Havana area in the mid-1800s. Large groups of Chinese indentured laborers came from China to do the work formerly done by African slaves when slavery was outlawed. The Cuban revolution and breakdown of U.S. relations in 1961 profoundly changed Cuban food. Cuba was cut off from its source of imports and had to find other sources to keep the economy going. When Fidel Castro declared Cuba a Communist country, the island county's ties strengthened with the Soviet Union throughout the Cold War. New food products entered the Cuban diet like wheat, pasta, pizza, and yogurt. Chicken and fish took precedence over pork, although pork is still the meat of choice. Beef and lard almost disappeared from the diet. The Cold War had a substantial impact on Cuban food. Because U.S. policy had forbidden trade with Cuba, the island has been forced to change its diet. In Cuba, you will not find any American influence on Cuban food. However, in American Cuban immigrant communities such as Miami, American influences are ever present in Cuban food and recipes. Because of Cuba’s climate, tropical fruits and root vegetables (malanga, potatoes, boniatos, and yucca) are incorporated in many dishes. A number of dishes include seafood as it is readily abundant on the island. Other popular starchy foods are plantains, bananas, and rice. Tostones are flattened and fried green plantains, an African-inspired dish and remnant from the days of slavery on the island. China’s influence was significant as they were the first to bring in rice. Rice is one of the biggest staple foods not just of Cuba but of all Latin America. Rice was actually considered exotic for many years as it was not native to Cuba or Spain. Some dishes you might recognize are moros y cristianos (mixed black beans and rice) and pollo en salsa (chicken in sauce). Also, a tortilla in Cuba is a simple egg omelet (as it is in Spain); it is not related in any way to a Mexican tortilla. Cubans love pizza, too. Some favorite toppings include ham, chorizo, and onion. Chinese immigrants had yet another impact on Cuban food—la caja china, "the Chinese box." This contraption was derived from Cubans watching Chinese laborers in Havana's Chinatown cooking their meals on makeshift wooden boxes with fires that placed the heat at the top of the box. This efficient method left the traditional lechón asado (slow roasted pork), soft and tender, which solidified the use of la caja china as a requisite at major Cuban festivities. What Are Puerto Rican Food Staples?